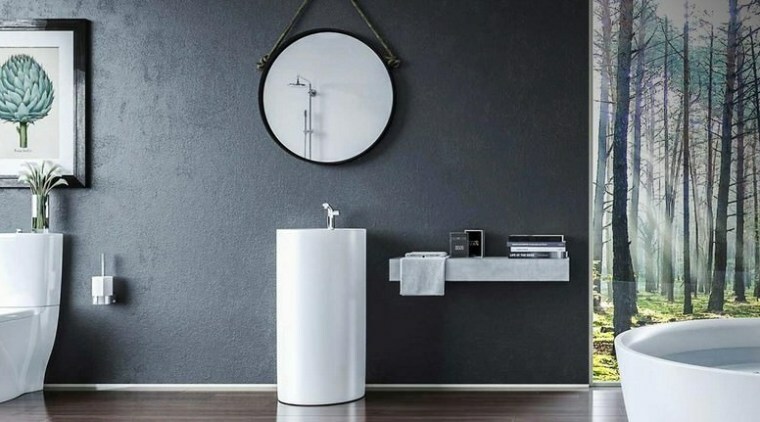 you design a stylish bathroom that allows you to indulge, while impressing all who are lucky enough to experience the masterpiece you call your bathroom. 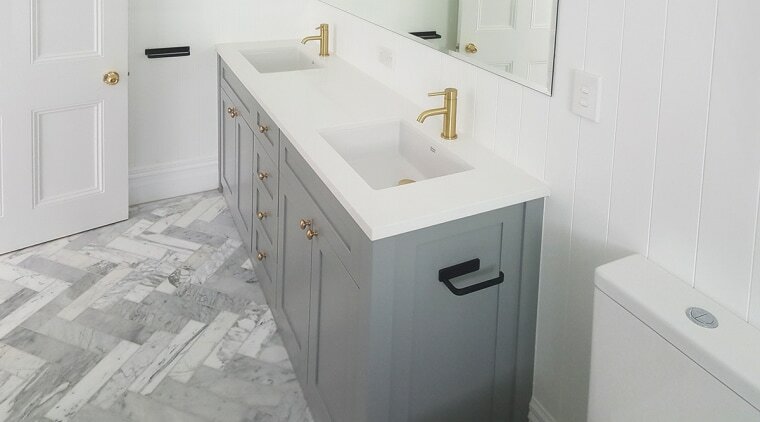 A marble border in the shower floor is designed to complement the marble herringbone floor in this renovated bathroom. Dave brings 20 years of commercial and residential building maintenance and project management experience. 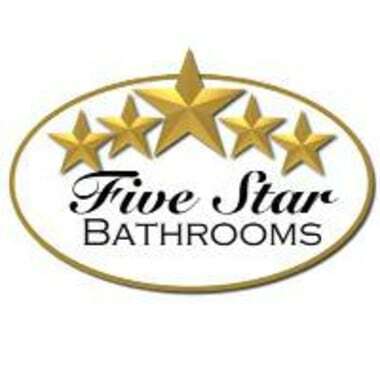 Managing multiple bathroom replacements within tight time frames has become a passion and skill easily transferred to Five Star Bathrooms. Restaurants, apartments, conference rooms, homes and kitchens – Dave has worked on them all. We call Ash the promise keeper for a reason. Dave makes the promises and Ash does his best to keep them! He is the on-site foreman that will oversee your installation. Throughout the entire project he will take care of your every need – seen and unseen. He brings 20 years of experience in the construction business and is incredibly skilled, fussy and tidy. His experience with bathroom renovations and designs ensures the job is done right. His high standards will impress you as much they have Dave and all our clients. He has the patience of a Saint; nothing you can throw at him will put him off. He will look after you well and do it with a smile. His outstanding communication with you and Dave will put your mind at ease and ensure nothing but the absolute best quality finish is achieved. He is a Licensed Building Practitioner, so you can rest easy knowing that you have the right man on the job.